Excellence in Science Journalism. He is the author of several books including Into Thin Air: A Personal Account of the Mt. 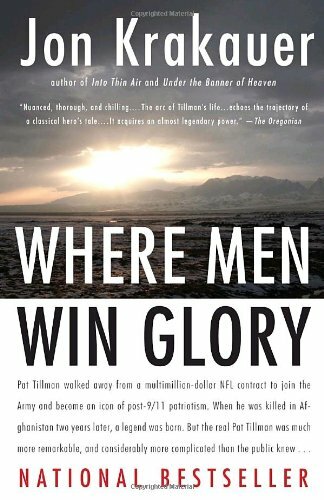 Everest Disaster, Under the Banner of Heaven: A Story of Violent Faith, When Men Win Glory: The Odyssey of Pat Tillman, and Three Cups of Deceit: How Greg Mortenson, Humanitarian Hero, Lost His Way. His book, Into the Wild, was made into a movie in 2007.